Travelers checking in at New York's John F Kennedy International Airport. The Wall Street Journal just released their first U.S. Airport Rankings and Denver International came in first place. The WSJ considered everything from Wi-Fi speed to security-line wait times when evaluating the top 20 largest U.S. airports. They even looked at average Yelp scores of airport restaurants and the cost of a rideshare to a local convention center. A survey of 4,800 readers was also used in consideration. Denver took first place overall, followed by Orlando, Phoenix, Atlanta, and Dallas-Fort Worth International Airport. WSJ also shared reliability, value, and convenience scores. Though Denver may have taken the gold overall, Phoenix was rated the most reliable airport. Orlando took first place in terms of value, while Dallas-Fort Worth was rated the most convenient of the airports. Among the largest airports in the U.S., New York’s three area airports – LaGuardia, Kennedy, and Newark – were at the bottom of the list for delays, cancellations, high fares, and poor-quality food options. The Wall Street Journal highlighted how the top five airports are doing a lot to impress customers. For instance, Denver, Phoenix, and Orlando put a lot of funds toward renovations and construction projects. Orlando also trains every employee that works at the airport to make eye contact, pick up trash, and be productive, and even rewards this behavior. As for Atlanta, it invested in a new Wi-Fi system and is praised by travelers for its clean and modern amenities and food options. And Dallas-Fort Worth? 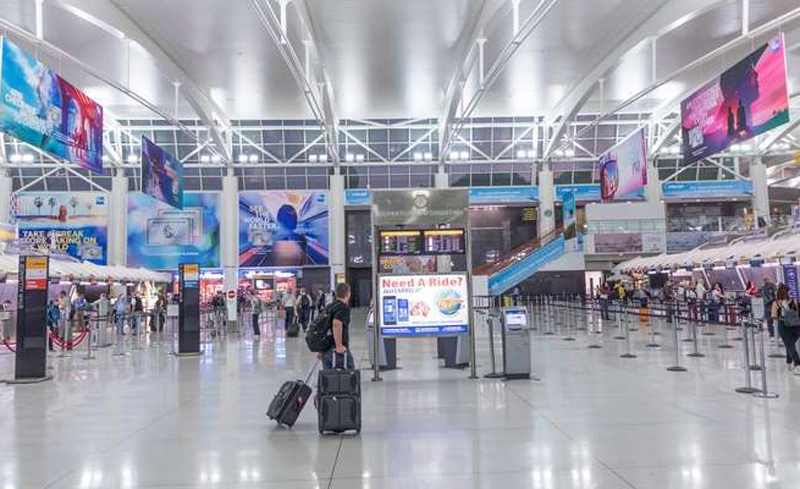 It was praised for having the third-lowest average TSA wait time, the second-highest food ranking, updated terminals, and more frequent bathroom cleanings. As WSJ’s rankings prove, sometimes it’s the little things that can go a long way in making an airport beloved.